Wheelguns are among the most reliable firearms for self-defense, but only when they’re properly maintained. The American Gunsmithing Institute, producers of the most authoritative instructional gunsmithing DVD courses, introduces a new Technical Manual & Armorer’s Course on the Charter Arms Bulldog Revolver hosted by Senior Instructor and Master Gunsmith Bob Dunlap. Dunlap understands the design, function and repair of Doug McClenehan’s Innovative revolver as well as, or better than, anyone else alive today due to his personal relationships with the founder and many of the original engineers. This course is ideal for those who are looking for practical instruction on how to get a Charter Arms Bulldog revolver completely apart, back together and operating as intended. Two factory cut-away revolvers are used to reveal the inner workings as Dunlap teaches the viewer the design and function of this iconic revolver. This course covers all models of the Charter revolver, including the new left handed models. As Dunlap guides the viewer through the complete disassembly and reassembly of the revolver, he shares tips about loads, reliability and maintenance that come not only from working on these guns, but also from his personal experience of carrying a Charter undercover for over forty years. 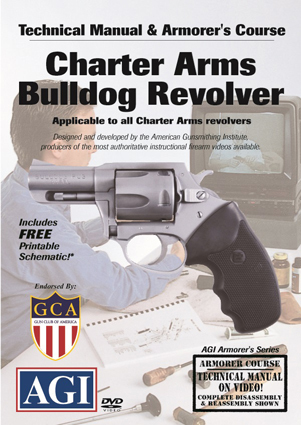 The AGI Technical Manual & Armorer’s Course on the Charter Arms Bulldog Revolver is a must have for any Charter Arms Bulldog revolver enthusiast and is available for only $39.95 (plus s/h) (Product ID#157DVD). If you want the quick course on how to get the Charter Arms Bulldog revolver apart, back together and operating as intended, then this is the course for you. 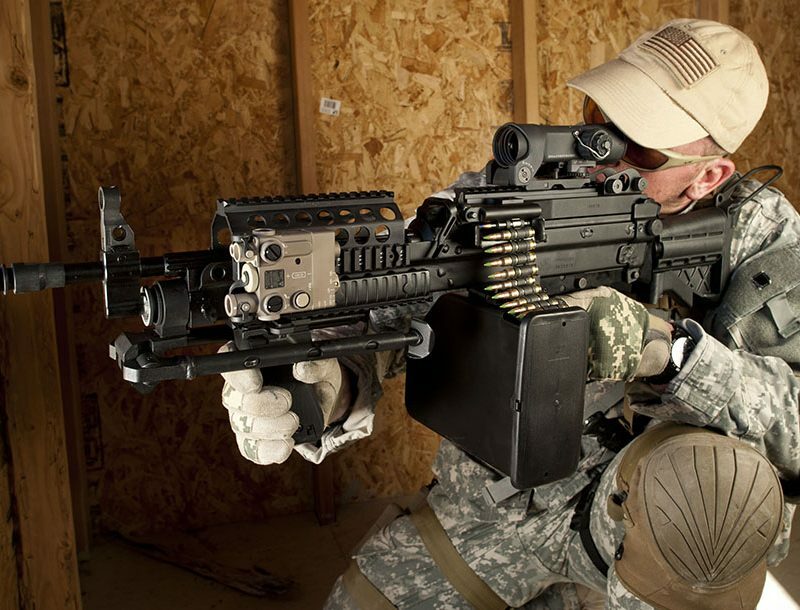 If you want to start making money at the hobby you love, check out our basic AGI Professional Gunsmith course where, in 108 hours of your own time, you can become a certified gunsmith. Find out more at americangunsmith.com.